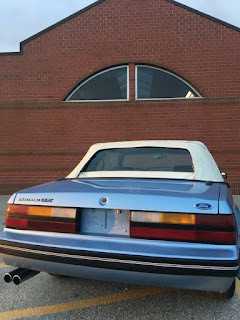 I've always been a moderate fan of Ford's Fox-body Mustang -- it does offer a decent platform with manual gearboxes, rear-wheel-drive, and V8 power -- but with an emphasis on the later models that offer fuel injected engines and more power...but recently I've become obsessed with the quad-headlight Fox models...because..well...more is more. 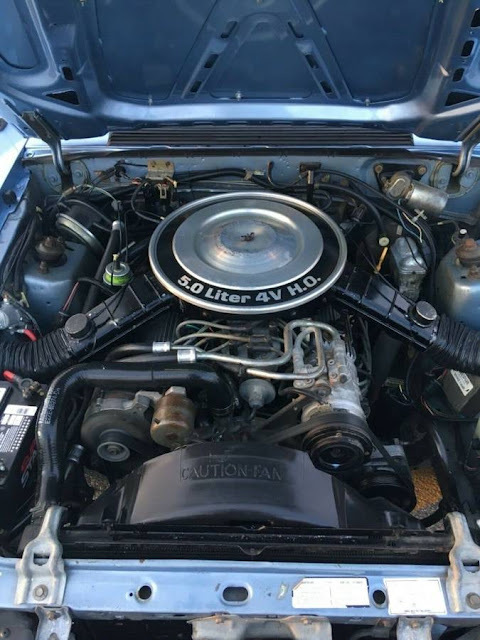 Find this 1983 Ford Mustang LX offered for $7,500 in Austin, TX via craigslist. Tip from FuelTruck. A beautiful classic car, priced to sell! 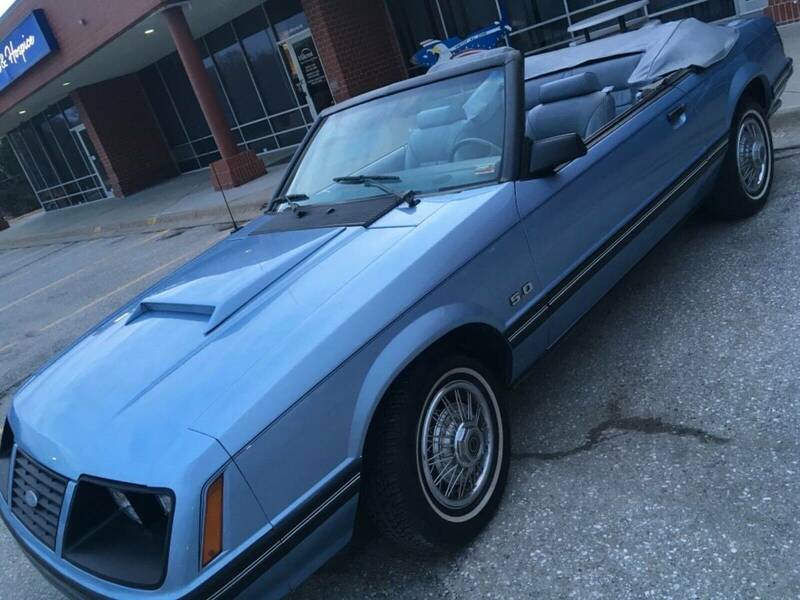 1983 Ford Mustang GLX Convertible (top of the line) with the powerful 5.0L V8 (175 HP) engine & 5 Speed Manual Transmission. These cars are getting extremely rare in good condition. High end dealers or collectors owning the majority....here’s your chance to own a clean example of Luxury and Muscle, Classic Power! 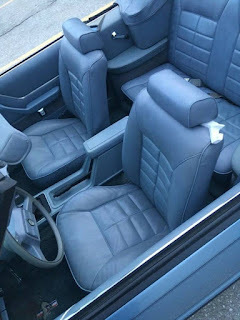 Well optioned with leather blue bucket seats, air conditioning, 5spd manual, high output 5.0L V8, power steering, power brakes, front discs, tilt wheel, cruise control, premium sound system, & Traction-Lok Rear Axle. 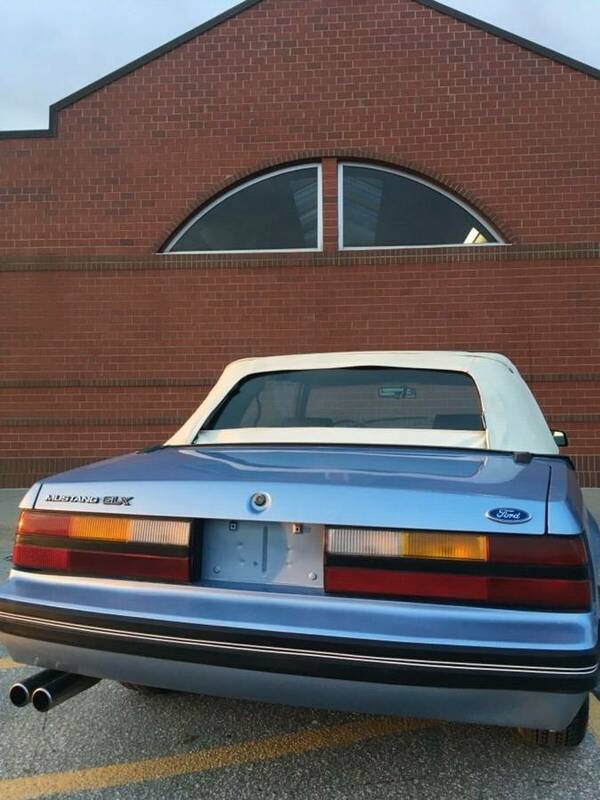 Only 1,202 Mustangs were made in 1983 with these Paint/Trim Codes. The beautiful blue exterior perfectly accents the clean matching blue interior.....very nice paint.! New Holly carburetor and professional repaint a few years back. Everything works!! Power convertible top opens and closes fine with a push of a button. AC blows but not cold, probably just needs a recharge. System is stock. Mostly garage kept its whole life, top is original and showing signs of wear but still looks good and opens and shuts fine. New tires all around. Get in and drive!!! Only 62,000 original miles (+or-). Clear Title. This is a LOT of car for the money! Car is in great condition but due to age, it is sold in as-is condition. Note: I have a $50+ Marti Report (has all the cars original auto specs) I will include with the car. Make me a reasonable offer!!! Need to sell this week. Hub caps FTW. I loved in the old cop chases when one would pop off and just go ripping down the street. X2 - bonus points when it would magically reappear in the next shot. Referring to a 175 hp 5-liter V8 as “powerful” certainly places this car in a particular era. Nice car, though, and probably worth the price.